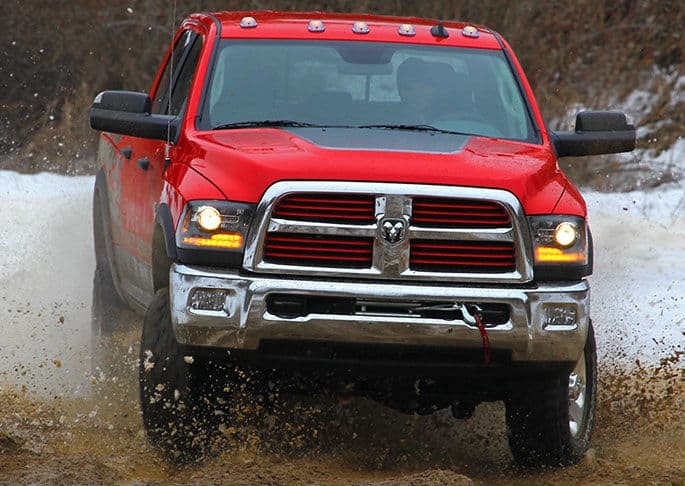 The newest of Chrysler Dodge Jeep RAM's models can be found in our stock at Legacy Chrysler Dodge Jeep Ram. We know folks in La Grande deserve the best, and we hope you'll give us the opportunity to provide you with it. La Grande is located in Union County, Oregon and serves as the county seat. The town was originally named "Brownsville". They name was changed to its current name because Brownsville was already being used for a town in Oregon. it was forced to change its name because that name was already being used for a city in Linn County. To the east of La Grande are the Blue Mountains. The first permanent settler in the La Grande area was in 1861. La Grande was incorporated as a city in 1865, and platted in 1868. Want to cruise around in a new or used Chrysler Dodge Jeep RAM vehicle on the roads of La Grande? Our website can help you get what you want. Whether it's for a large or small family, or just for yourself, we're sure to have a vehicle in stock that can fit your tastes. Have you been searching Oregon for a pre-owned vehicle? Start your search with us and save yourself time and money. The advantage of shopping with us means you have access to an extensive selection of used vehicles from which to find your dream car. Legacy Chrysler Dodge Jeep Ram is here to make achieving your goal of an excellent rate on a car loan near La Grande a quick and easy reality! Getting your car loan can be accomplished using our secure finance application form online. We look forward to working with you and getting you the best deal! For folks looking to keep their Chrysler Dodge Jeep RAM vehicle running in great condition and live near La Grande Oregon then please consider bringing it by Legacy Chrysler Dodge Jeep Ram's repair center. All the parts and resources you require to keep your Chrysler Dodge Jeep RAM vehicle in top condition can also be bought at Legacy Chrysler Dodge Jeep Ram's repair center. If you'd like to arrange an appointment to bring your vehicle in you can do so by creating a vehicle service appointment here on our site.